Dr. Hiroshi Motoyama, a well-known Japanese scholar, was born in Japan in 1925. Dr. Motoyama graduated from the Tokyo University of Literature and Science with Ph.D. degrees in Philosophy and Physiological Psychology, and was awarded a prestigious prize for his work in the comparative study of Eastern and Western mysticism. Dr. Motoyama is both a scientist trained in empirical methodology and a psychic who has experientially gained deep philosophical knowledge. He is the head Shinto priest of the Tamamitsu Shrine in Tokyo, and a yogi well-versed in the yoga treatises. His scientific endeavors resulted in the establishment of the Institute for Religious Psychology, a research facility (1960), and the International Association for Religion and Parapsychology, an international organization whose members are not only composed of scientists in theses and related fields, but are from diverse professions (1972). For the purpose of specialized research in the field of life physics, the Motoyama Institute for Life Physics was established in 1990. Dr. Motoyama is the author of over 50 books (Japanese and other languages) and numerous monographs and papers, and has traveled widely throughout the world, participating in conferences and workshops, and presenting his work. Dr. Hiroshi Motoyama, a well-known Japanese scholar, was born in Japan in 1925 and joined his ancestors in Sept. 2015. Dr. Motoyama graduated from the Tokyo University of Literature and Science with Ph.D. degrees in Philosophy and Physiological Psychology, and was awarded a prestigious prize for his work in the comparative study of Eastern and Western mysticism. Dr. Motoyama is both a scientist trained in empirical methodology and a psychic who has experientially gained deep philosophical knowledge. He is the head Shinto priest of the Tamamitsu Shrine in Tokyo, and a yogi well-versed in the yoga treatises. His scientific endeavors resulted in the establishment of the Institue for Religious Psychology, a research facility (1960), and the International Association for Religion and Parapsychology, an international organization whose members are not only composed of scientists in theses and related fields, but are from diverse professions (1972). For the purpose of specialized research in the field of life physics, the Motoyama Institute for Life Physics was established in 1990. Dr. Motoyama is the author of over 50 books (Japanese and other languages) and numerous monographs and papers, and has traveled widely throughout the world, participating in conferences and workshops, and presenting his work. In recognition of his important work in the field, he was awarded the McDougall Research Fund Award from Duke University in 1962, selected as one of the world’s leading parapsychologists by UNESCO in 1974, recognized as an “ordinary academician” by the Instituto di Cultura Universitaria e di Studi Superiori, Academia Tiberina in 1977 and awarded Dr. J. B. Rhine Biennial Research Award in 1996. He has also been honored by several renowned scientific and religious organizations. He serves as an advisor/lecturer to various international associations and institutes, and as a member of the editorial board of international journals in related fields. In 1980, he established the Motoyoma-Bentov Fund Research Fellowship [with Itzhak Bentov] to assist promising scientists who wish to study human existence in its holistic sense. Dr. Marshall F. Gilula was the first Motoyama-Bentov Fellow. In 1991, he established the Southern California Institute Japan Branch (Graduate School) in Tokyo. In 1992, he established California Institute for Human Science in the hope of 1) elucidating the mechanism of the correlation between mind and body; 2) understanding the human mind (unconscious, conscious, superconscious); 3) synthesizing Eastern and Western religions; and 4) synthesizing Eastern and Western medicine (energy medicine and health science). He invites reputable researchers and scholars as professors of the school in order to educate promising researchers. Dr. Motoyama established CIHS in the belief that this project is important for the realization of a global society – one which will require individuals with mental and spiritual development. Nonlocal healing, modulated by the principles and methodologies of Dissonance Resolution Meditation (DRM) and quantum biofeedback (QBF), is rooted in models describing nonlocal principles of time and space irrelevancy when going from the dimensions of quantum mechanics to the finer levels of quantum fields, quantum subspace, and string theory. Method. Direct application of quantum biofeedback principles makes it possible to create a synergism between the human energy fields and the electromagnetic fields of cybernetic systems, such as computers. Our alternative medicine research combines elements of homeopathic and allopathic healing remedies based on over nine thousand electromagnetic patterns that are each equivalent to one of those remedies. We describe an energy medicine technology researched and developed for over 25 years by William Nelson, a noted NASA scientist. The quantum biofeedback technology, EPFX-QXCI-SCIO, is sanctioned by the U.S. FDA as a biofeedback device and is currently employed for the purpose of stress reduction by medical and nonmedical practitioners who have been certified as biofeedback therapists or technicians. This technology is considered off-label or experimental in the U.S. for any other use, despite being accepted for medical diagnosis and treatment in the European Union, Russia, and many other parts of the world. Results. Our observations of stress reduction by medical personnel examine the foundation of this device modeled on principles from electro-acupuncture, homeopathy, and other alternative medical systems. Although the technology regularly employs conductive carbon electrodes attached to all four extremities and the forehead, we used the device to investigate long distance, nonlocal stress reduction. Conclusions. Observations of eight different patterns of stress reduction carried out over distance are correlated with psychophysical theories. The observations strongly suggest the efficacy of a nonlocal healing model, and partially explain epistemological and ideological barriers to conducting controlled research on nonlocal healing. Her interests include the interface of psyche and matter in the mindbody connection, the holographic concept of reality, psychosomatics, biophysics, bioholography, and nonlocal healing. She has pursued this vocation lately with some of the world's foremost pioneers in quantum physics and biophysics at Emergent Mind and The Journal of Nonlocal & Remote Mental Interactions (JNLRMI). See http://emergentmind.org and the Quantum Dream, Inc. project. The alchemists, who were students of consciousness in matter, created an elixir of life, a “medicine of philosophers”, a cure-all or panacea. What the modern world yearns for is a “meta-syn,” or visionary synthesis rooted not in a mechanistic model but one using nature’s own forms of self-organization. The first Motoyama-Bentov Fellow in Japan was Marshall F. Gilula, M.D., is a Neuropsychiatrist with a specialty in EEG. Over the years, Dr. Gilula has employed both software and hardware in his healing practice. Because of his psychiatric background, he has also focused on "wetware" (the human brain and it's relationship to hardware and software. He was one of many pioneers in applying neural stimulators such as TENS and CES during the Seventies and did research in Moscow as a US-USSR Exchange Scientist for NIH's Fogarty Center. CES (Cranial Electrotherapy Stimulation) has been shown by some investigators to affect the mean dominant frequency of certain brainwave frequencies such as the alpha frequency. 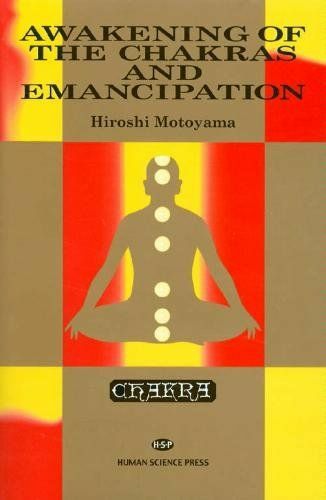 Dr. Hiroshi Motoyama has been a brilliant and innovative pioneer in the exploration of human consciousness, making contributions to the scientific investigation of conscious phenomena as well as their philosophical implications. 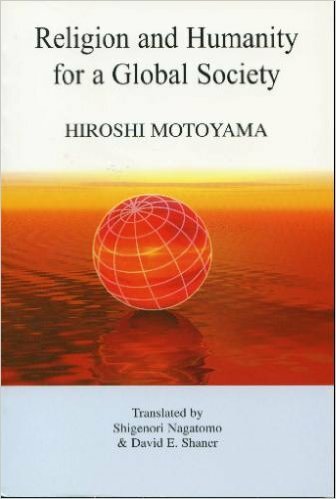 In Religion and Humanity for a Global Society, Dr. Motoyama expands his perspective to the world-at large, providing a visionary paradigm for the survival of humanity as well as its spiritual enhancement. -Stanley Krippner, Ph.D.
Hiroshi Motoyama’s Religion and Humanity for a Global Society advances an argument for a global religion and humanity to envision a future global society. It accomplishes this task through a comparative study between eastern and western religions (Judaism, Christianity, Islam, Hinduism, Buddhism), while guiding this argument through his own personal religious/psychic experiences and scientific experiments on these phenomena. A background concern that informs this work is the unprecedented problems we face today on a global scale (e.g. ecological crises, inter-ethnic conflicts, and the population explosion). Coupled with this, there is, among the industrialized nations, a rise in crime, drug, and alcohol addiction, divorce, sexual abuse and violence in the city, although the degree of these distortions and disorientation may vary from country to country. As a corrective to these problems the book demands a fundamental reflection on the western word-view and belief system. In 1980, he established the Motoyoma-Bentov Fund Research Fellowship to assist promising scientists who wish to study human existence in its holistic sense.In 1991, he established the Southern California Institute Japan Branch (Graduate School) in Tokyo. In 1992, he established California Institute for Human Science in the hope of 1) elucidating the mechanism of the correlation between mind and body; 2) understanding the human mind (unconscious, conscious, superconscious); 3) synthesizing Eastern and Western religions; and 4) synthesizing Eastern and Western medicine (energy medicine and health science). He invites reputable researchers and scholars as professors of the school in order to educate promising researchers. Dr. Motoyama established CIHS in the belief that this project is important for the realization of a global society – one which will require individuals with mental and spiritual development. Dr Motoyama is a scientist as well as a yogi, philosopher and priest. He is a man of many varied interests and talents specializing in oriental medicine, computing and electrical engineering who is also a parapsychologist, spiritual healer and seer. He is head of the Institute for Life Physics, Tokyo, and the California Institute for Human Science, California. He is concerned with elucidating the nature of religious experience and the existence of 'subtle energies' using scientific methods. 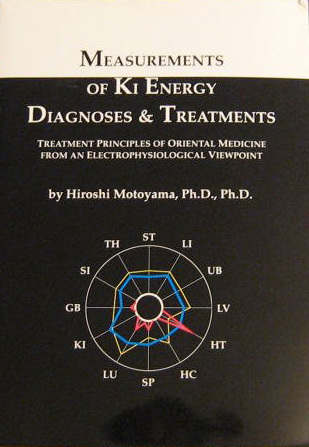 To aid in this he has built two machines: one to measure the 'ki' energy in the meridians (the AMI machine) and another to measure the energy of the chakras or energy centres of the body (The Chakra instrument). The AMI instrument is in use in some American and many Japanese medical institutions as a diagnostic tool and for research into health and disease and also the paranormal. In this interview with Share International he talks about some of his scientific ideas and thoughts for the future development of this area of research and diagnosis. Share International: Dr Motoyama, could you tell us how you got the idea for building the AMI machine and what are the actual physical principles on which it is based? Dr Hiroshi Motoyama: Yes. I had many experiences, beginning 40 to 45 years ago, of the flow of vital energies during my yoga exercises and I clearly felt, around the meridians [energy channels], some vital energy like water and heat going around my body. Particularly I felt Kundalini Shakti or power was very strong around the spine. At about this time I suffered a lot from disease and instability and for this reason I often couldn't get up, so I decided to practise Yoga. After six months to a year I was so much better that I began to experience for myself the ki or prana energy in my body. Later when I was a young lecturer in science at Tokyo University, my students did not believe me when I told them of my experiences, using logical arguments only. I thought that their minds were too heavily influenced by science and so I wanted to verify such vital or subtle energies flowing in the body by scientific methods or research.The first time I measured this type of body function was with the EEG Electroencephalogram or ECG Electrocardiogram methods used in traditional Western medicine, but it is very difficult to detect such energy, and Western medicine can 'catch' only the nervous or muscle tension in the form of electricity, electrical potential or active potential in the nerves. One day, about 25 years ago, I was invited by a visiting professor to his university in India where we examined, using EEG and so-on, Yogis and T'ai Chi Chuan masters. I think all the hard work we did gave me a stomach ulcer, partly because during the spiritual consultations I did with many people I used only the Manipura (solar plexus or Hara) chakra, which connects to the stomach meridian.After my stay in India I thought perhaps my investigations of such an idea of prana or ki energy were wrong, as we cannot measure or detect these energies with traditional medical instruments. So I decided to develop a new machine. I had studied electronic engineering while at the naval academy and at university, so now I was able to build a circuit to make a new machine to find a way of detecting the 'body fluid function'. That is the history of the AMI, which stands for Apparatus for measuring the functioning of the Meridians and their corresponding Internal organs. SI: Have you built any other machines apart from the AMI? HM: Yes. My other machine is the chakra machine which was developed two-to-three years after completing the AMI machine. By directing energy from the subtle energy centre of the chakra the surrounding electromagnetic environment can perhaps be changed. Also the lower body has a kind of static potential which disappears when energy is discharged from the body. So, in a completely dark room, insulated from physical energies from outside, a person with psychic ability can direct energy via their awakened chakra and produce light and we can detect this light and its direction. The instrument to detect this light and the changes in the electromagnetic field is called the chakra machine. This machine's first aim was to register light or psychokinetic power and to see if it could influence an electrical atmosphere, or whether a person can produce light or not. SI: Can you yourself detect or see whether an illness has a karmic cause, is incurable, or whether it can be cured? HM: That depends on one's understanding of the human being. I understand the human being to consist of three dimensions: a body, mind and spirit and each of them has individuality. If the problem or cause comes from the spiritual dimension it is generally caused by previous karma and cannot usually be cured by Western medicine. Disease at the mental level is caused by things that happen in a person's present life, producing unstable states of mind, and this can be cured by hypnosis or psychotherapy or psychological approaches. In that case the person only needs to understand the reason, the causes that create the problem in the mind. On the physical level, if the body has been affected by a germ, one only needs medication and often in a short time the person will be cured. 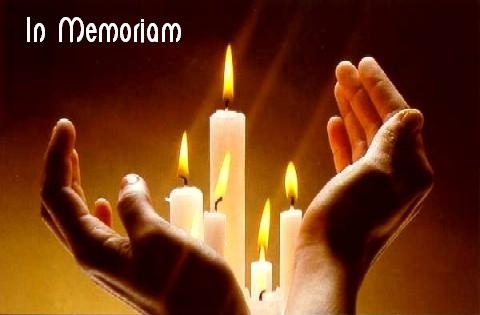 A karmic disease, or constitutional handicap caused by karma, is very difficult to cure, but if we always pray to God to help such people, then in many cases they can be cured within five or 10 years. The key point is that they should accept the previous life that relates to their disease. This is a first step in controlling the emotions and one can then observe oneself from the outside. That is the starting point. They pray to God and gradually they can control their emotions and the very egocentric persistence (attitude) of the person gradually disappears. They can then be intact and in a balanced state with other people; and they will be cured. SI: There is a dichotomy between orthodox medicine and the new type of healing arts based on the meridians and chakras. Do you think your work has helped to bridge this gap, or is doing so? SI: Ah, this is the ki, you think? HM: Yes, but ki energy is still in the physical dimension even if it is the 'beginning of the physical dimension'. So it will be restricted by space and time, for example the T'ai Chi Chuan master we studied can only project his ki energy within a fixed distance. This ki energy is a mediator between the mental or psychic and the physical dimension. So we are proceeding now from Western medicine, which deals with mass in the chemical form only to the medicine of energy. Then, beyond that, maybe we will reach the psychic and spiritual level. SI: Your work, I would say, verifies the existence of the chakras and meridians. Do you have any scientific theory as to why the chakras and meridians are of their particular form or why they follow their particular paths? HM: Before we make a theory we must find out the facts. So at my Research Institute we measured many subjects, maybe about 100,000 so far (over 20 years), and fortunately we have been able to investigate many psychics, martial arts masters and yogis as well as students of our own disciplines, yoga exercises and meditation, and so-on. We have been able to detect the chakras, and also I have some ability to see the chakras and whether they are awakened in a person or not. So firstly I would clearly see with my ESP ability [psychic ability] which chakra is awakened. If the chakra is awakened we can see the very bright colours of the aura and also feel much energy from this awakened chakra. Then we measured subjects with the AMI machine and have been able to determine if particular chakras are awakened, for example those who have the manipura chakra awakened have highly energized spleen, liver, stomach meridians. 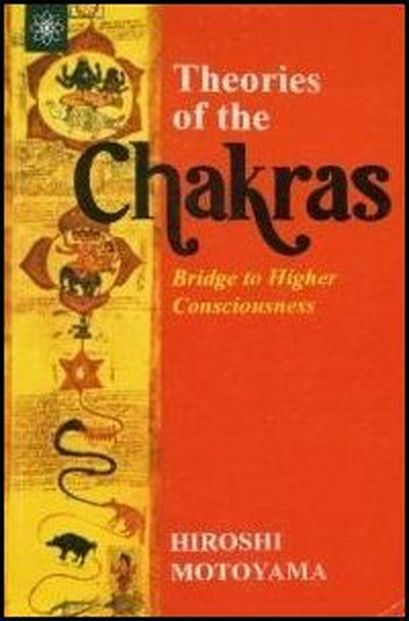 After analysing much data obtained from many kinds of psychics or 'normal' people, I found, on the basis of this data and on the basis of my own super-natural understanding of such people, that we could connect the specific meridians with each chakra and link this with traditional theories about the chakras. For example, a person with an awakened manipura chakra can control the emotions, and also the functioning of the digestive system. We learnt much about each meridian and chakra from working with yogis and could link this with our AMI data. SI: I know you have done some work on telepathy between individuals and have found how different kinds of telepathy affect the different chakras. Could you say something about that? HM: Telepathy usually affects, in different ways, the different chakras. Mostly, telepathy in which companions are connected or related by their emotions or by the imagination is due to the manipura centre (solar plexus) receiving that telepathy. The person who has awakened the manipura is very sensitive, can be affected by other people very easily and finds it easy to receive information from 'outside'. They can easily be influenced by the power of the other person and information can easily come in. However if a person has awakened the ajna chakra [the energy centre between the eyebrows] the telepathy is very different. Then it is a very pure, intellectual telepathy and very clear, whereas the telepathy given through the manipura chakra is very much connected with the emotions and with a person's own imagination. Sometimes it can be mixed with unconscious thoughts. If either the manipura or the ajna centre is awakened, it is possible to both receive telepathy or send telepathic transmission at will to others. However in the case where the svadisthana chakra [the sacral centre] is awakened, all such people have some telepathic ability and can receive some information from others, but the ability is only spontaneous; they cannot control it at will and cannot send telepathic thoughts to others. So if people say they sometimes have intuition or telepathy but they cannot control it at will, that means their telepathy mostly belongs to the svadisthana chakra, and is very raw. SI: Could you explain a little bit about what you mean by subjective and objective science? HM: Objective science means we can understand or observe something from a common base with other people. Sometimes also objective means the science that is based on the sense perceptions. For example, I can see this cup: you can see it also, and this means we can say it is objective. But the subjective is always there. For example we both see this cup but perhaps you perceive it differently from me according to your subjective feeling and understanding which is different from mine. We can say the same thing about intuition or telepathy. Sometimes people say that intuition is very subjective, but I don't think so. If you have the same ability as I have, you can, for example, see the same kind of spiritual entity as I do, so sometimes during meditation with my disciples and students we receive the same kind of telepathic information. That means some activity common to all, doesn't it? So there are many meanings of objective and subjective. SI: My understanding of quantum physics is that the observer can actually affect what is observed, that the two are linked. Doesn't this form a link between Western science and Eastern philosophies or religions? HM: The quantum, for instance, as in the Heisenberg uncertainty principle, depends only on the instrument we use to observe things. For instance if we use a photon to observe elementary particles like electrons or neutrons, according to the type of measurement used we can measure the position of the particle but we don't know it's velocity. But if we observe the particle in a different way then we can know its velocity but not its position. So from this we can understand the uncertainty principle, but we still separate the object and the subject. They say if we look in a different way we can see a different thing even though it is the same thing. In the case of psychokinetic energy, we send out some energy and an object can be created or changed. In quantum physics they are still separated, things are not affected by the mind. That's completely different, is it not? But now in order to bridge this kind of scientific view we are proceeding more and more in the subtle area, in the subtle dimension, and then we can soon reach the subtle energy system like the ki. Physicists now understand the Big Bang but we cannot explain, or we cannot find out, the initial state [ground state] of the Big Bang, where there is no causation, time is at zero or almost at zero. Why is the energy not divided into four? Because in science we know only particular forms of energy like electricity or gravity or something like that. We can measure these with our machines so we cannot measure the energy before this discrimination but we are now getting there. As to ki energy, if we have someone whose chakras are awakened, then with a specially designed probe we have been able to measure points on the subject's body with a high potential which I believe corresponds to the chakras and their level of activity. My hypothesis is that the nuclei or electrons at this part of the body give off much energy and then the energy changes and discharges and comes out as the energy of the photon. To verify this hypothesis, we measure photons with a photon counter. If the chakra is awakened and the potential is high then we are able to detect many photons discharged from the body from the point corresponding to the awakened chakra. We can verify the existence of the chakras and psi [psychic] energy given concentration of the mind and an awakened chakra, because more photons discharge. If we concentrate the mind and there is not an awakened chakra then nothing happens. After three seconds or 10 seconds or 20 seconds, maybe only one photon is detected. That is usual but the awakened chakra gives a very unusual amount of photon discharge. Because we have concentrated at the point, this near-mental concentration of power, psychic power, gives the energy to the photon. That is how we can find this mechanism of the interaction between the mind and the body. That is a new science, or not a new science perhaps but a new medicine which is closer to other religions or philosophies. So now we are just approaching this door, to open it. SI: Would you say then that science is approaching a new paradigm, a new methodology? HM: Yes, although many people talk about the new paradigm, but they haven't got it, they are just speculating but actual research, like ours, embodies this new paradigm. So I think this is completely different and much more meaningful than just 'New Age' thought. SI: Yes, perhaps what is needed to bring this new paradigm to the fore is a new type of clairvoyant scientist? Authors Details: Adrian Jackson. Reprinted with the kind permission of Share International Magazine.